Wow! Thank you for my amazing book of letters. I am amazed that you have taken the time out of your busy SATs schedule to write to me. I thought I should write back and answer some of your questions. A few people asked about the website and where I find the videos. I look on lots of sites and find videos that I think children will like. I then ask the people who make them if it is ok to share. I spend a long, long, long time watching the films. Did you know that every minute of every day, 72 of film is added to youtube? Dylan W – I was a teacher, I used to teach Y5 children in Manchester but the Literacy Shed became so successful I had to stop teaching to focus on it. Imani – When I see a film that will go into two sheds I sometimes put it in both otherwise I just make a decision and go with it. There are no strict rules, sometimes a film could go into more than two sheds. Joe W – I see you liked Dreamgiver, this is actually the film I would choose. I love the 3D animation where the creature creeps into the orphanage but I do not like the 2D animation of the dream sequence. This is one section I would change. Amna – I am glad ‘The Lantern’ has helped you. It is a great film. I wonder if the boys in the class really enjoyed it too? Syed – How do I find the films? I sit and watch youtube, vimeo and other sites for a long time, sometimes up to six hours at a time. Even after such a long time I don’t always find something suitable. Molly – When I was younger I enjoyed my Literacy lessons because I had a great teacher. I loved to play rugby and it wasn’t until I was older that I decided to specialise in Literacy. Thea – I am glad that Literacy Shed has boosted your confidence. We have already created the Maths shed, www.numeracyshed.com. You should check out the music videos which help with mental calculations. They are my favourite. Luke W – I love ‘Eye of the Storm’ too it is very mysterious. I am happy if other websites begin to create websites like mine, it means children will have more films to watch. Najmin – What inspired me to make The Literacy Shed? I was teaching a class of children and I used lots of videos with them. I needed somewhere to save them and I had always wanted a website so I made it. I now go into schools and teach pupils how to create their own websites. Millie – Out of all the sheds, the one that stands out the most is The War and Peace shed. The stories are so powerful and tell stories about very brave men and women. Holly N – How many people view The Literacy Shed? In 2014 we had over 10 million page views from over 1 million users. I don’t have very much assistance, I do nearly all of the work, however, I think some of the children in your class could get a job with me when they are older, you sound like experts in film and literacy. Rhea – I have made some short animations but I am not very good at it. Sometimes they can be very expensive to make. Thousands of pounds per minute. Kiera – The website is 3 years old, I created it by myself but a few people have added films and ideas on there. They are other teachers who have used films successfully and wanted to share their ideas. Muhammad – One of my biggest inspirations for making the shed was to share the films with teachers around the world. I could see the impact it had on my pupils and I wanted to share it. Alex B – If I could make one video for the shed it would probably be about growing up. I would like to make it over a period of time, filming one child as they got older and older, it would take a very long time to film. I might try it with my new baby! Majid – I don’t have a single favourite shed, although I have mentioned the War and Peace shed, I also like The Inspiration shed, I think this is filled with great animations. Lorna – If I was to change the site I think I would have one film on each page, and have lots of examples of children’s writing beneath the film along with the teaching ideas, this would allow children to get inspiration from each other. I have started to do this on the site www.literacyshedshowcase.com perhaps your class could send me some work to add to this site? Tamanna – The name Literacy Shed actually came from an old class of mine – we were thinking of some good ideas and one of the children came up with it and I liked it so it stayed! Amelie – I am glad the films have helped you find your writers voice. I think I could easily do a ‘film of the week section’ thank you for your suggestion. Jacob – I love the fact that you used to hate big write and now you love it. I think that might be down to the fact you have an amazing teacher as well as having the literacy shed to use too. I have been a teacher for 11 years and before that I wanted to be a rugby player – I was quite good at it but I really wanted to go to university. Which was the best time of my life! Ethan – I think the impact of the website is clear when you read the writing children produce from it, you have said you think your writing is better because of it too which is fab. Christopher M – I don’t remember struggling with any subjects at primary school but I wasn’t very good at maths when I was in secondary school. I had to work really hard to get my GCSE maths. Emily – I am sad that you used to find English boring, but I am glad that you like it now. I think Oktapodi is more a fun film with some love in it rather than a love story with some fun in it. I hope that makes sense. Fahima – Writing from the perspective of the sky or the grass may be tough, I would love to see that! I have already mentioned the maths shed, we are also working on The History Shed and a computing shed but they will not be ready until next year. Wahab – If I could change my occupation I would like to be an artist or a writer, perhaps combining both to write books with pictures for older children. I would love to write a book for children set in the medieval times. Chloe – I don’t think many children would find the literacy shed boring, they may find some films uninspiring but I hope there will be more than one to engage any pupil. I will be making a Film of the week section on the shed too – thanks for the suggestion. Abdul K – Before Sunrise is a great film, it makes me sad in parts until the ending when the shadow has another to be with at the end. Ben B – I think a diary entry for ‘Hunted’ is a great idea. I do not have any data which shows progress although we are planning on carrying out this research. At the moment I am looking for lots more sports films to add to the sports sheds. I really like them. Alex H – ‘Roads End’ is a new film on the shed and one that I have yet to use with children. It leaves me wondering at the end – is the man in the scarf ‘death’ or ‘the grim reaper’? Jessica – I am glad writing is becoming easier for you, I think that you prove that the literacy shed can help children with their writing as long as the children are trying really hard too. Just like you and the rest of your class are doing. Ruby – I have never considered making different sheds for the different age groups. Although I am actually thinking of creating a shed that can be used in secondary schools. Hopefully this can be completed ready for when you start in Y7 and you can tell your teachers all about it when you get to your new school. 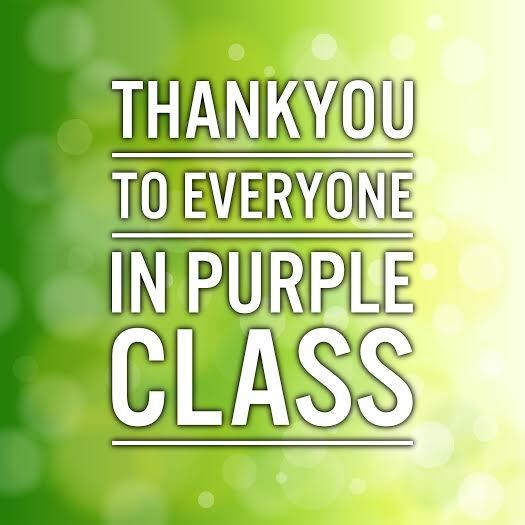 Purple class, thank you so much for your letter, I hope I have replied to your questions adequately, sorry I couldn’t answer them all but you can guess how busy I am looking for new films.